When the first Masonic lodges opened in Paris in the early 18th century their membership included traders, merchants, musketeers, clergymen, and women--both white and black. This was not the case in the United States where black Freemasons were not eligible for membership in existing lodges. For this reason the first official charter for an exclusively black lodge--the Prince Hall Grand Lodge of Massachusetts--was granted by the Grand Lodge of England rather than any American chapter. 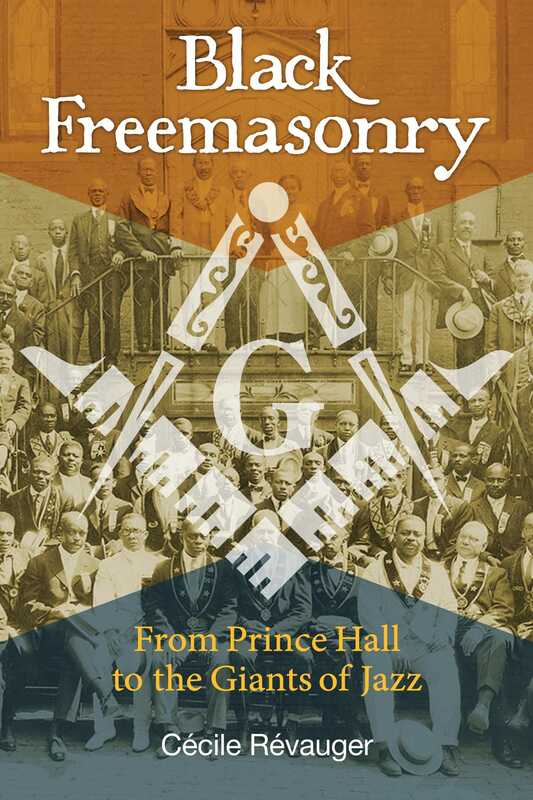 Through privileged access to archives kept by Grand Lodges, Masonic libraries, and museums in both the United States and Europe, respected Freemasonry historian Cécile Révauger traces the history of black Freemasonry from Boston and Philadelphia in the late 1700s through the Abolition Movement and the Civil War to the genesis of the Civil Rights Movement in the early 1900s up through the 1960s. She opens with a look at Prince Hall, legendary founder and the chosen namesake when black American lodges changed from “African Lodges” to “Prince Hall Lodges” in the early 1800s. She reveals how the Masonic principles of mutual aid and charity were more heavily emphasized in the black lodges and especially during the reconstruction period following the Civil War. She explores the origins of the Civil Rights Movement within black Freemasonry and the roles played by Booker T. Washington and W. E. B. Du Bois, founder of the NAACP, among others. Looking at the deep connections between jazz and Freemasonry, the author reveals how many of the most influential jazz musicians of the 20th century were also Masons, including Louis Armstrong, Duke Ellington, Nat King Cole, Eubie Blake, Cab Calloway, and Paul Robeson. Unveiling the deeply social role at the heart of black Freemasonry, Révauger shows how the black lodges were instrumental in helping American blacks transcend the horrors of slavery and prejudice, achieve higher social status, and create their own solid spiritually based social structure, which in some cities arose prior to the establishment of black churches. The visitors to the National Jazz Museum, occupying a small hall on the top floor of a building in Harlem, receive a warm welcome because they are rare. If, in addition, they are knowledgeable enough to ask a few questions about Freemasonry, they will stupefy their hosts as it is still not common knowledge that Nat King Cole, Cab Calloway, Duke Ellington, and many others were lodge members. He breaks down the spiritual dimension of jazz into three tendencies: “religious, mystical, and metaphysical.”(5) He demonstrates that the religious dimension is an abiding presence for these musicians, much more than for most European musicians. In fact, the attitude of the American churches, which in most cases supported the fight against slavery and the civil rights movement, just like the lodges of Prince Hall, explains the attachment of many black masons to the religious tradition. I am not going to focus on the “spiritual” dimension of the bond between jazz and Freemasonry as much as the social aspects. In fact the so-called Royal Art and the art of music have coupled harmoniously toaccompany the social rise of a large number of artists from poverty who also had to conront a society that was still strongly gripped by racial discrimination. Several of these musicians were born in dire poverty. In his autobiography, Satchmo,(6) Louis Armstrong describes the wretched condition in which his family lived in New Orleans during the years 1910–1920, in a neighborhood where violence and prostitution got on well with each other. As a teenager, he was sent to a juvenile home for firing a shot in the air to defend himself against a criminal threatening him. He also was a small-time pimp until he was able to make a living from his concerts. It is certain that these societies or clubs played a similar role to that of the Masonic lodges by affording their members social recognition that was all the more valuable as they were often of humble extraction and the victims of racial discrimination. At the end of the First World War, while playing concerts in New Orleans, Louis Armstrong was still obliged to deliver carts of coal in order to make a living.